Samsung Electronics Co. Ltd announced its latest additions to the Galaxy family of products, Samsung Galaxy S7 and Galaxy S7 edge. Created for today's consumer lifestyle, Galaxy S7 and Galaxy S7 edge lead the industry with a more refined design, advanced camera, streamlined software functionality and unparalleled connectivity to a galaxy of products and services. The Galaxy S7 range introduces the first Dual Pixel camera on a smartphone, delivering brighter and sharper images, even in low light. Thanks to the revolutionary Dual Pixel technology, the lens has a wider aperture and larger pixel, the camera has a faster shutter speed and a more accurate autofocus even in low-light conditions. Motion Panorama, a new camera mode, brings movement to traditional panoramic photos, giving the user a completely visually appealing understanding. The 5.1-inch Galaxy S7 and 5.5-inch Galaxy S7 edge are constructed with 3D glass and metal – all in a sleek design with durability and ergonomic curves for a comfortable grip. From work to play, the device’s new Always-On Display, gives consumers a simplified, zero touch capability where they don’t need to worry about missing a call or important notification. Without compromising design, the devices both have increased utility with IP68 water and dust resistance. Edge UX, the advanced edge available on Galaxy S7 edge, provides convenience and increased efficiency by creating easy shortcuts to users’ most loved functions such as email, selfie mode, panorama mode or third party applications. Galaxy S7 and Galaxy S7 edge delivers fast wired and wireless charging technology. Additionally, the hybrid SIM card tray allows users to insert a microSD card for up to 200GB of extra storage and in some select regions, the tray can be used with a dual SIM card. Samsung made significant hardware and software updates to optimise gaming performance on Galaxy S7 and Galaxy S7 edge. The powerful processer and bigger battery capacity ensure longer playing time, and the internal cooling system keeps the device from overheating. Game Launcher, a new add-on for gamers, allows users to manage battery consumption and minimize notifications. Additionally, users can record their gaming practice or share their screen to challenge others. Paired with Galaxy S7 and Galaxy S7 edge, Vulkan API gives users the ability to play high-performance graphic games with lower battery consumption. 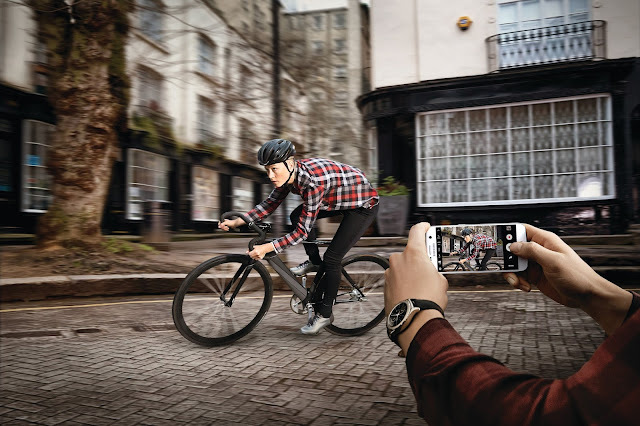 Samsung continues to challenge the limits of hardware, software and services to create devices that are designed to improve how consumers connect, share, organise and get more out of life. The company is redefining what is possible, past the restrictions of today’s technology, by introducing a constellation of seamless mobile experiences. 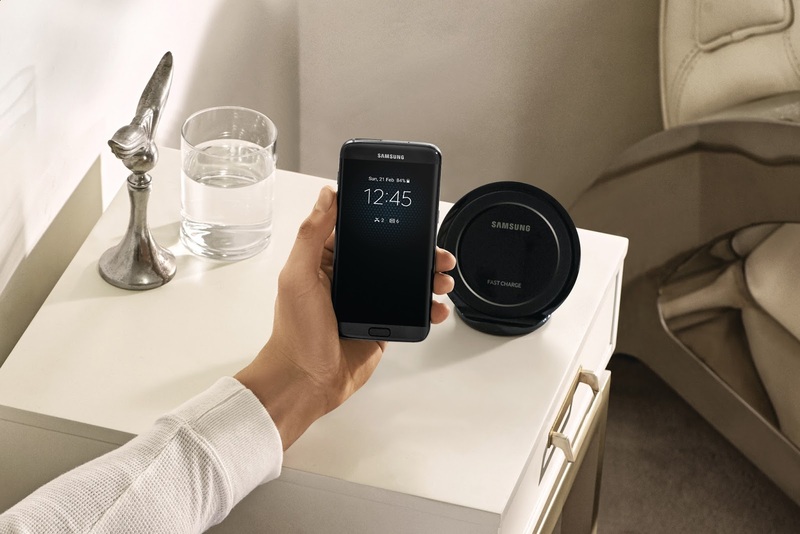 Whether it’s the seamless connection between Galaxy S7 and Galaxy S7 edge and the new Gear S2 Classic to monitor fitness, or connecting with Gear VR to “travel” the world – Samsung redefines what’s possible for the use of mobile solutions. Beyond the phone, Galaxy S7 and Galaxy S7 edge users can also get the best mobile payment service with Samsung Pay; it’s secure, easy-to-use and accepted almost anywhere. Protected by Samsung KNOX, fingerprint scanning and advanced tokenization, Samsung Pay works with NFC (Near Field Communication), MST (Magnetic Secure Transmission) and Barcode technology, making mobile payments available to more merchants and consumers than ever before. “At Samsung, we are relentless in our pursuit for excellence and our philosophy, is making meaningful designs that capture attention and inspire our customers. The beautiful story behind the innovation of our mobile products is centered on putting the customer first and that’s keeping us ahead of the pack,” concluded Fleischer. Galaxy S7 and Galaxy S7 Edge is available in the market now. Check the phone and buy one for your loved ones. For more product information, please visit http://www.samsungmobilepress.com, news.samsung.com/galaxy or www.samsung.com/galaxy.